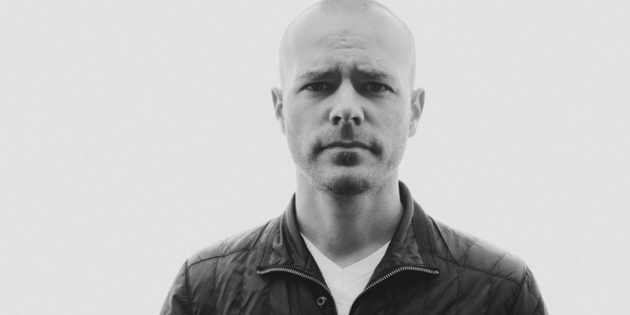 “Especially in 2006, the idea of giving away your music for free online ran contrary to all the conventional wisdom at the time,” Derek Webb told me in a recent Nemo Radio interview. Webb, a 20 year veteran of the music industry, has sold millions of albums as a founding member of Texas-based folk/rock band Caedmon’s Call, and ruffled political & spiritual feathers alike as a solo artist. He’s also a serial entrepreneur, serving as GM of PledgeMusic, Nashville, and as the Co-Founder & President of the revolutionary tribe-building platform, NoiseTrade, which allows authors and musicians to swap free books and songs in exchange for a listener’s email address and zip code. These days, it’s commonplace to find and listen to music for free online. But more than a decade ago, it was a fight to the death between record companies, individuals and entities like Napster when it came to sharing songs for free on the Internet. For Webb, whose musical career started pre-Internet, the entrepreneurial and audience-building opportunities the online world presented made perfect sense. After much consternation, Webb convinced his record label to let him give away his entire studio album for free online. Webb’s idea was simple – anyone could download his entire record for free in exchange for sharing his or her email address and zip code. Remember, this was back in 2006, before social media, content marketing and “going viral” were part of the online lexicon. “We tried to get the word out, and what happened really blew us away,” Webb recalls. “In 90 days, we managed to give away 85,000 digital copies of the record. All of a sudden, I went from having 5,000 email addresses to 90,000 in three months. By exposing 85,000 new individuals to his music for free, Webb’s content marketing sowed the seeds for massive value (and profits) for years to come. Next, Webb took his show on the road, geo-targeting by zip code his email list to alert fans in cities that he had a show coming up. Despite having never played a solo show in LA, and despite getting booked into a tiny, 100 seat venue on a Wednesday night, Webb decided to take a massive risk. Prior to the show, Webb geo-targeted fans on his email list who lived within 20 miles of the venue. “I had no idea what was going to happen. So I show up, do my soundcheck, and I’m walking around Hollywood Boulevard. Later on, my buddy and I were walking up to the venue, which had three different rooms – I was playing the smallest one, obviously. Webb had been booked into a basement room that only held 100 people, so the venue actually turned away 200 additional customers who had wanted to get in to see him. Webb’s eyes were opened, and he repeated the process in other cities (and with similar results) all over the United States. Webb took the method and built an entirely new business (NoiseTrade), allowing musicians to replicate the same model with fans eager to discover new artists. For anyone who doubts the power of content marketing in 2017, considering Derek Webb’s incredible journey that began in 2006 should be proof enough.